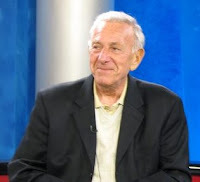 Beloved actor, Jack Klugman, has died of complications from prostate cancer. Klugman was best known for his long-time roles on the television series, as Oscar Madison in "The Odd Couple" with Tony Randall (1970 - 1975) and in the title role as "Quincy, M.E." (1976 - 1983). In a career that spanned 64 years, Mr. Klugman earned one Golden Globe Award (1974), three Emmy Awards (1964, 1971, 1973), received two Stars on the Walk of Fame (1988 and 1959), acted in 9 Broadway shows, 18 films and over 50 television shows. Klugman was 90 years old. Jack Klugman was born in Philadelphia. Jack loved thoroughbred racing and his horse "Jaklin Klugman" finished 3rd in the 1980 Kentucky Derby. Mr. Klugman helped get the Orphan Drug Act passed in 1983 by speaking before Congress. Klugman's final resting place is Mt. Sinai Memorial Park Cemetery.